From Cutler Bay and Cutler Ridge to Three Lakes and Palmetto Bay, we have many homes and businesses that depend on our rapid response team to address disasters and emergencies that threaten these properties. 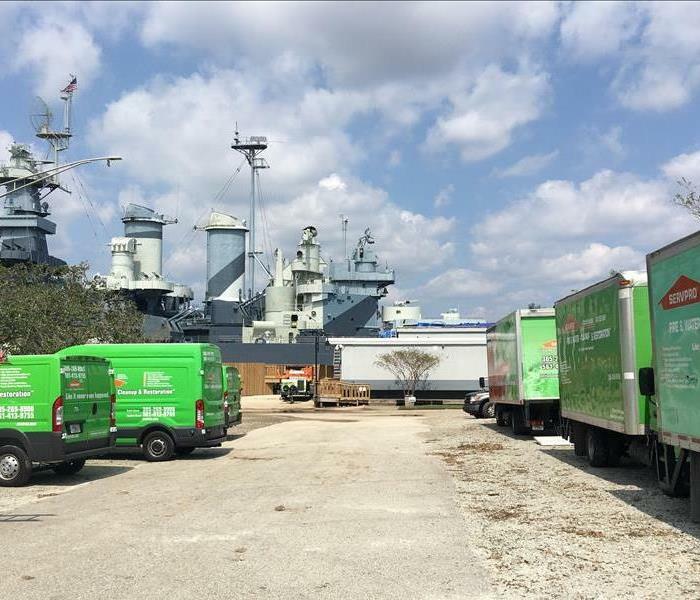 With a full-service crew handling nearly every aspect of recovery and restoration, our SERVPRO of Cutler Bay team can help to get jobs completed quickly and within budgetary confinements. No matter what effects threaten your property from water, fire, mold, storms, flooding, or biohazards, we have the resources and IICRC-certified restoration specialists to handle it. As a member of a Large Loss Recovery Team, we can not only address substantial loss incidents within our service area but can offer this same immediate and knowledgeable service throughout the entire state of Florida and beyond. Our 24/7 readiness for emergencies allows us to get money and time-saving mitigation, remediation, cleanup, and restoration started shortly after emergencies happen. We’re Faster To Any Size Disaster. We live and work in this community too; we might even be neighbors. As a locally owned and operated business, SERVPRO of Cutler Bay is close by and ready to respond to your cleaning or restoration needs. We are proud to be an active member of the Cutler Bay, FL community and want to do our part to make our community the best it can be.